(January 16, 2019), Teton Village, WY ––Jackson Hole Mountain Resort (JHMR) is pleased to announce the athlete lineup for the most anticipated event of the season, Kings and Queens of Corbet’s. 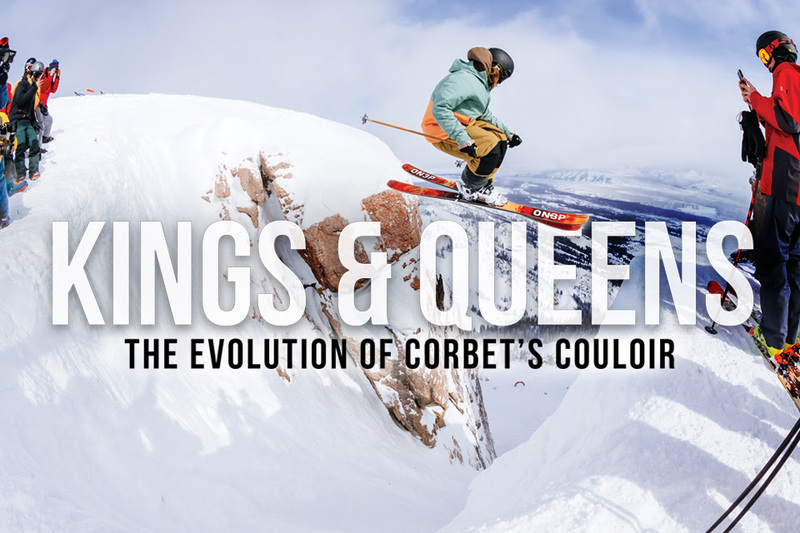 Next month, JHMR will host 18 of the world’s top freeride skiers and snowboarders, pitting runs head-to-head in the famed Corbet’s Couloir with competitors vying for the title of King and Queen of Corbet’s. Hosted like a surf competition, the contest will be held one day within a six day window to create optimal conditions. The competition window is February 11-16, 2019. JHMR will update the status of event each afternoon at https://www.jacksonhole.com/kings-queens-corbets.html and on JHMR’s social channels the day prior to the event. Viewing of the event will take place below the Couloir, in Tensleep Bowl, and the competition is expected to start at 10am. JHMR wants to remind spectators; there is no beginner or intermediate terrain from the spectator venue down to the bottom of the mountain. Kings and Queens of Corbet’s is supported by GoPro, Smartwool, Gortex, Yeti and Red Bull bringing together some of the world’s best action sports networks, products and athletes to Jackson Hole Mountain Resort. Freeskier is hosting the official Kings and Queens after-party Saturday, February 16 at the Pink Garter Theatre, in downtown Jackson, where the winners of the competition will be crowned at 9:15 pm. For more information on the event, athlete lineup and Freeskier after party, click here.